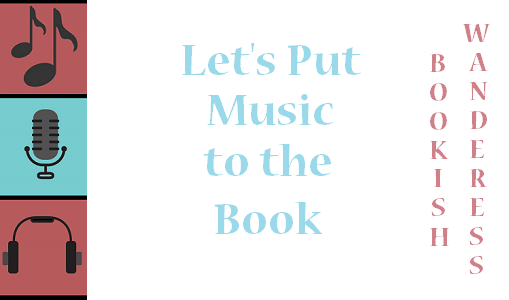 Let’s Put Music to the Book is a new feature here at Bookish Wanderess, where I share playlists for books I love. Usually, when I do this kind of post I try to match song lyrics to certain scenes, moments or characters from a book, but this time, I made this playlist with the songs I have been listening to while I read the books in the Addicted Series and the Calloway Sisters Series by Krista and Becca Ritchie. I have been reading both of these companion series for a week, there’s 10 books total and I’m currently reading book 8. If that doesn’t tell you I’m completely obsessed with these series, I don’t know what will. Most of the songs are from the Top 50 list on Spotify, which I’m listening on repeat, and I chose the specific ones that I thought were a good fit for the books. Also, I included a song in Spanish and it’s the only one I specifically looked for, because the lyrics remind me of this series. I hope you enjoy the playlist! Do you make playlists for the books you read? Do you post them in your blog? Let me know in the comments!